There’s a fine line between graffiti of the mere tagging variety and what rises to the level of street art. While some may condemn the former and celebrate the latter, law enforcement targets any and all as vandalism, no matter how pretty. Some street art legends like Banksy, Shepard Fairey, and David Choe become mainstream icons, while other aspiring spray-can artists end up cuffed and fined. 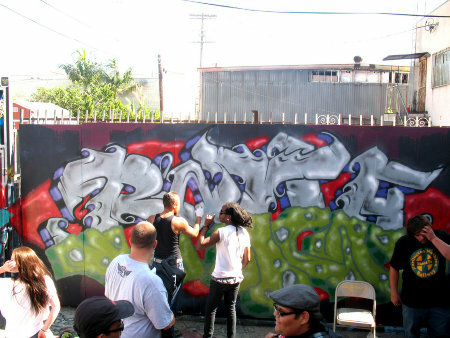 That narrow divide between creative expression and crime attracted the interest of author and social reformer Jonathan Mooney, co-founder of the urban arts initiative Streetcraft LA in 2009. Based in the Wilmington neighborhood of Los Angeles, Streetcraft diverts taggers from vandalizing public and private property and helps them capitalize on their creativity for a profit—by designing and selling unique apparel, skateboards, housewares, and furniture that feature their own art in-store and online. With a homebase that includes a retail and performance space, personal studios, and a backyard with 20-foot walls for spray-paint experiments, the program is providing young artists with the necessary tools and training to become entrepreneurs. Each year, the program provides roughly 60 new students—ranging from 16 to 26-years-old, some who grew up in the foster-care system, others on probation—the opportunity to learn valuable business skills. 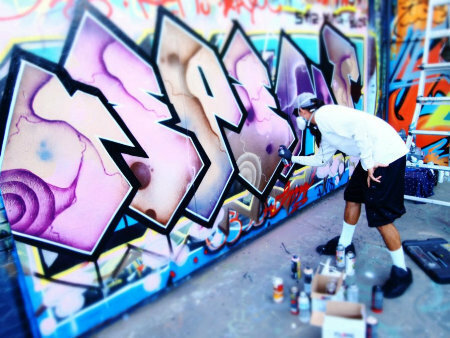 The first step is a training period with an urban arts curriculum led by two local street artists, that helps taggers rethink of themselves as artists. The students then learn business skills by working in Streetcraft LA’s brick-and-mortar 10,000 square foot store, which strictly sells work produced by Streetcraft’s artists. The young artists are paid with commission and have their own studio space with access to full woodworking and silk-screening machines. They partner with the creative line, learn about the supply chain, and apply their creative vision to the products. The final step before graduation is “Launch”, where students access capital and create a business plan for their venture. The store then gets turned over to them to solely feature their products. “The program’s ultimate vision is to have the youth in the program launch a micro-venture that they’re pursuing on a full-time basis,” Mooney say. “We want to have youth leave the program grounded in creative services or apparel strategy.” The program’s first cohort will be going through Launch this year, and the store will be featuring works from a different young artist each month. Come late fall, Streetcraft plans to launch a pop-up shop full of holiday gear on Santa Monica’s shopper-friendly Main Street. The project is also looking to expand to South LA, Compton, and East LA.